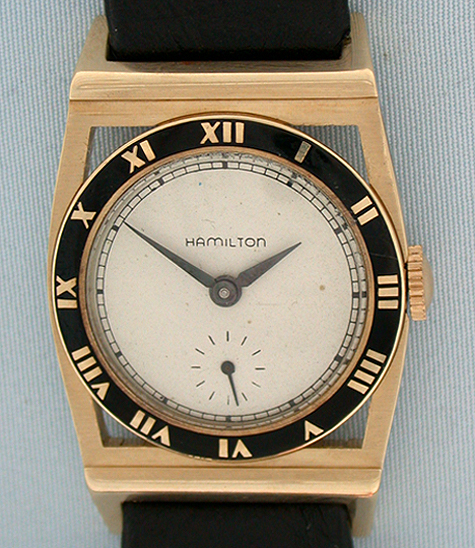 Hamilton 14K gold and enamel Piping Rock vintage wrist watch circa 1948. Silver dial with blued steel hands. 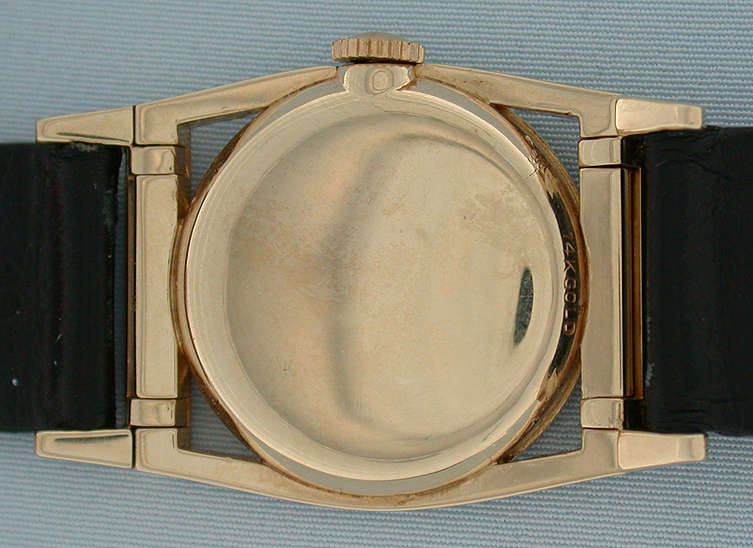 Gold numerals against a black enamel background. The case with hinged lugs. 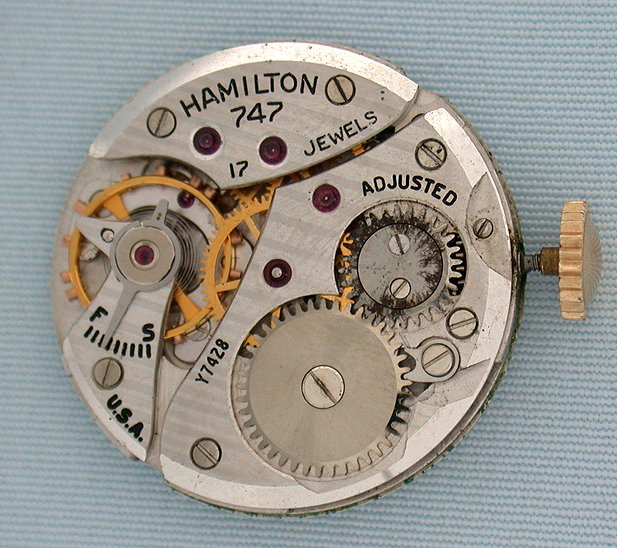 17 jewel calibre 747 movement with stains on the winding works. Very handsome.